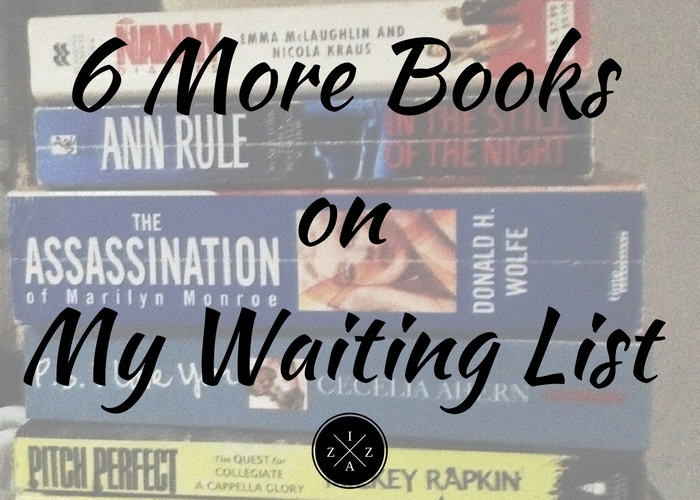 Last February I gave you 5 Books On My Waiting List. Until now I haven't read any of them. They are all good books but I just find it hard to read a lot with my current schedule. I don't want to force myself and not enjoy the process of reading which will give me a whole reader's block part 2. And so my books literally became a library right now and today I'll share to you the more books that have been added in my waiting list bin. Again I have zero idea when I'll have a chance to start reading the books below but I'll surely keep you posted. I have always wanted to buy this book but I find 150pesos price not a good deal on Book Sale. Thankfully I saw it on BookforLess for only 45pesos. I remember a good friend/classmate in college who loves this book so much and recommended it to me. Sadly I only bought it this time but I am still excited on to read it pretty soon. Have I told you how true-crime obsessed I am? I listen to podcasts and watch a lot of creepy documentary videos on Netflix and YouTube. Ann Rule rules when it comes to true crime stories and I know this book is not her best but I still bought it as my very first book from the author. Excited to read this and hopefully I get the same tingling sensation that I experienced while reading Exposed: The Secret Life of Jodi Arias. Another true crime book I found second hand. I know little of what happened to Marilyn Monroe so I felt that this book will be perfect to open my eyes on the story behind her death. Its too thick by the way and has real pictures inside as well as sketches of the crime scene, autopsy reports etc. I remember how happy I was finding this book in Book Sale for just 180pesos. Its a steal considering how good the review for this book as well as the movie was. I have scanned this the first time I bought it and found the book easy to read so I guess a nice weekend will do to finish this. I so long wanted to read the book since the movie came out but I can't find it somehow. I was so happy to got the book finally in BookSale. This book reminds me so much of Time Travelers Wife which is a good book I finished years ago and recommend to everyone. I was super surprised when I saw this in a BookforLess kiosk at Trinoma. I didn't know that Pitch Perfect movie was inspired by a book which is non-fiction by the way. I have scanned the book and its more of a documentary type, there's no story line like the movie but you just follow a groups quest for collegiate A Capella glory. That's it for the new books in my To Read List. I hope you enjoyed reading this kind of post. Alwasy go to the BOOK GALLERY above so you'll know if I've already read and reviewed any of the above. Thank you so much! 10 of my Local and Affordable Makeup Favorites | Watsons Moisturizing and Firming 10-in-1 Complexion Corrector Cream Review | Why I Love Makeup?